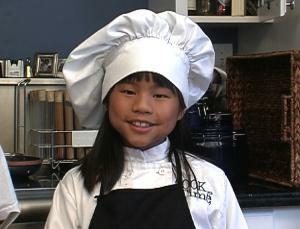 Amazing Young Remmi cooks up Smiles! This month, as we kick our Amazing Kids! Recipe Contest, and celebrate food and cooking with our Amazing Kids! Online Magazine’s “Food, Glorious Food” issue, we thought it would be fitting to bring you the story of an amazing young girl who is so passionate about food that she has made it her mission to teach healthy eating habits to other kids through her own TV show and website. Be prepared to be inspired…while learning some excellent tips on healthy cooking and eating habits! At a time when the Center for Disease Control (CDC) estimates that the obesity levels among children have tripled over the last 20 years and that over 9 million children in the U.S. are now clinically obese, Remmington (“Remmi”) Anne Smith wants to make a difference. Remmi is a Chinese American and was born in Yang Jiang, the Providence of Guangzhou in China. Remmi comes from a big family and she is the 6th child in a family of nine. “My love of food started, as I was told by family members, when I was just a baby. I would eat just about anything that was given to me. When I was 4 years old, I started helping my mom in the kitchen. I washed vegetables for her, poured stuff into the bowls, and helped her with the taste testing. When I was about 6 years old, I started taking over more,” recollects Remmi. Remmi’s mother Nancy also made sure that her family ate healthy. Although she worked outside the home in a demanding profession, she always made cooking healthy meals important to the family. Nancy also got interested in the issue of poor nutritional health in children and did a lot of research about what was available for children and their parents. She realized that although there were some shows teaching children how to prepare desserts and some healthy snacks, there wasn’t a lot of emphasis on teaching children how to cook the foods they should be eating. Nancy and Remmi figured out that if kids could learn how to cook healthy meals, and learn about healthy eating, it would be a big step towards solving the obesity problem. “My mom and I talked about doing a show where we could demonstrate that children are capable of cooking not just snacks but full meals. I thought about how much I love to cook, why not I host the show? Kids probably won’t listen to adults, but they may listen to other kids. That’s how Cook Time with Remmi began! 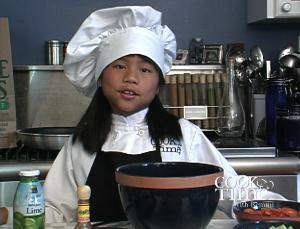 Our hope with the show is to get kids really excited about cooking and teach an important life skill. We believe if children learn how to cook they will eat better and they will improve their health.” says Remmi. 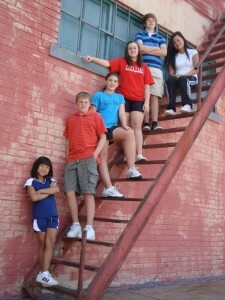 The website and show took 14 months to develop and were launched in April of 2009. Within a month of the first show being launched on the website, Remmi was contacted by a local TV station that is connected to the local school district. They wanted the show on their station and they have been showing it about 20 times a week ever since. Remmi has been featured on all the major local TV stations and local newspapers and magazines several times. She has also been on Radio Disney both in Tulsa and in Kansas City. She was also a “Celebrity Chef” at the popular Tulsa Garden and Home Show this January. “I believe we have been very well received by the local media because we are doing something creative but practical to help improve children’s health and eating habits. Whole Foods Market in Tulsa has partnered with me and they are helping me get the show known to the Tulsa area,” Remmi notes. The feedback Remmi and her mother are receiving about the show have been encouraging and very positive, as people seem to naturally love the show and what Remmi is doing to help kids stay healthy through cooking. Remmi is in preliminary discussion for a wider distribution of the show with some TV executives. “In order to really make an impact- I believe we need to get the show on major TV. If the show is on regular programming we will have a wider audience to really get kids excited and capable of cooking which will improve their thinking and habits towards food,” she says. Amazing Young Remmi on the set of her Cooking Show!